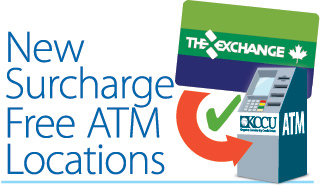 KCCU is part of Canada's second largest free ATM network - The Exchange®. Thousands of ATMs to serve you at no charge! See below for local ATMs to serve you!